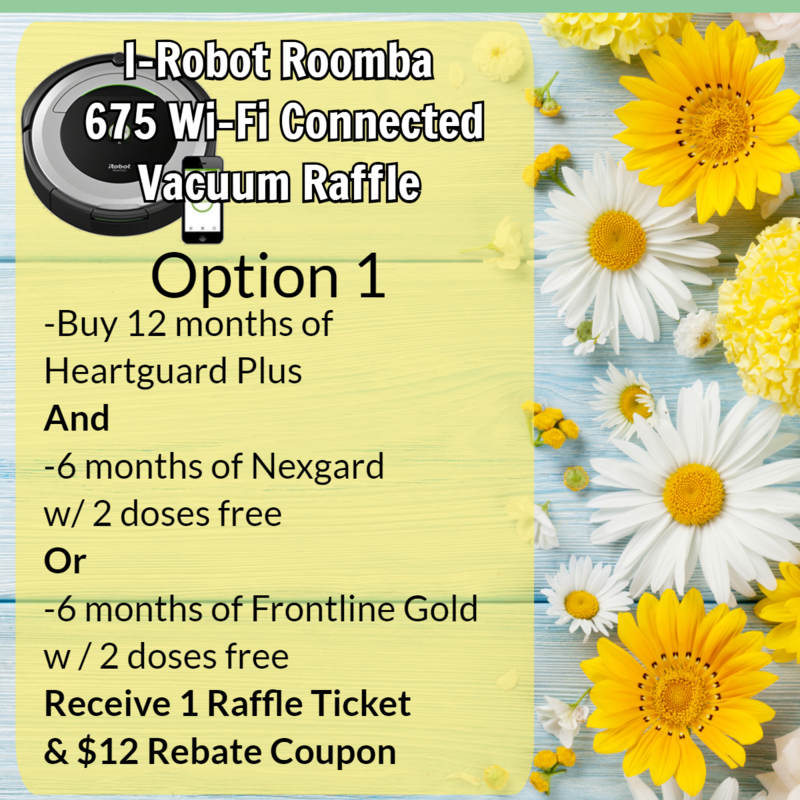 Participate in our annual raffle for the chance to win an I-Robot Roomba 675 Wi-Fi Connected Vacuum! 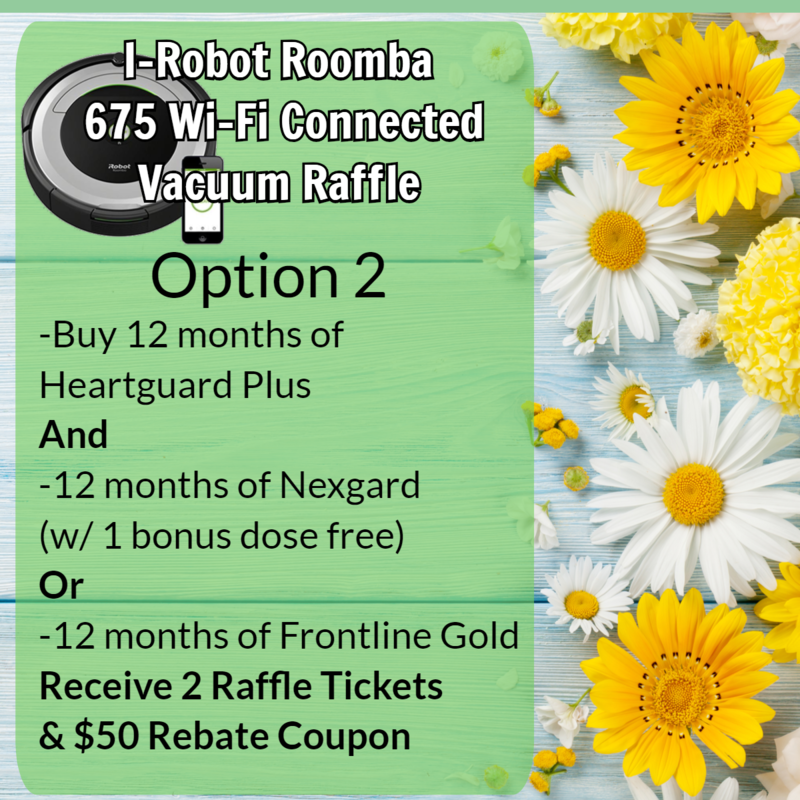 There are 2 ways to win, see how below! Offers cannot be combined with any other coupons. The drawing will be pulled on June 29th, 2019.